Helmet with speakers are the most brought bike supplement around the world. A helmet plays the most important part while riding a motocycle and if it is attached with speakers than you can enjoy your journey. The Helmet is crafted in such a way that it comforts your ear and maintain a sound rhythm. This unique helmet can be used with any motocycle. It is padded with high-quality pads inside the helmet to give the user a nice and smooth feel while journy. The soft, padded speakers attach to the inside of your helmet by hook and loop fasteners pads (included), have a volume controller as well as a microphone which make you more comfortable to use. 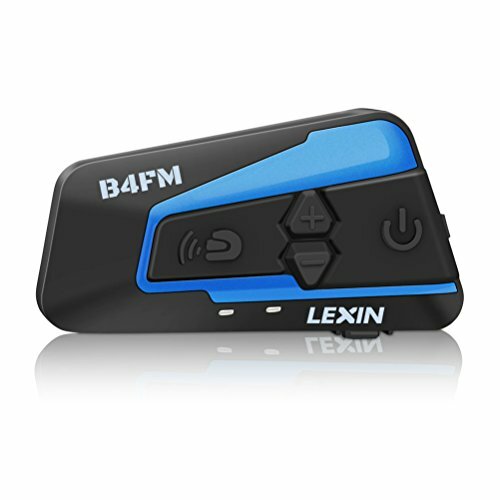 The LEXIN LX-B4FM is a Bluetooth v3.0 HiFi Stereo Headset designed specifically for motorcycles. With the LX-B4FM, you can call hands-free on your Bluetooth mobile phone, listen to the best HiFi stereo music, FM radio or voice instructions of Bluetooth enabled GPS navigation units wirelessly, and have conference intercom conversations with up to 4 riders at an intercom range of 1600 meters.. Thanks to Bluetooth V3.0, the LX-B4FM offers great audio quality for both incoming and outgoing sound. The intuitive button operations make the LX-B4FM a perfect companion for motorcycle helmets.. The LX-B4FM can connect to other Bluetooth devices supporting HSP/HFP (Headset Profile/Hands Free Profile) and A2DP (Advance Audio Distribution Profile). HSP/HFP is standard in all phones with Bluetooth features. Almost all Bluetooth MP3 players, . smartphones, and audio dongles support A2DP to send stereo audio to Bluetooth headsets like the LEXIN LX-B4FM..
Share the riding experience and enjoy conversation with up to 4 riders talk at one time at an intercom range of 1600 meters. Universal pairing feature, compatible with most of the Bluetooth headsets or earpiece in the market. Included speakers and microphone provide high-quality sound with advanced noise cancellation technology. New interchangeable microphones – allows you the choice between a boom microphone for open face or flip-face (convertible) helmets, or a button microphone for full face helmets. Waterproof design handles all weather conditions. Designed to fit most full face, convertible (flip-face), and open face helmets.